All Leisure “Air Massage Series” baths are constructed from the highest quality cast acrylic finishes with traditional FRP reinforcement and are designed for years of service and ease of care. surround you to create a warm, soothing, bubble massage that relaxes as well as rejuvenates. With the touch of a button you can select different massage levels for optimum comfort. 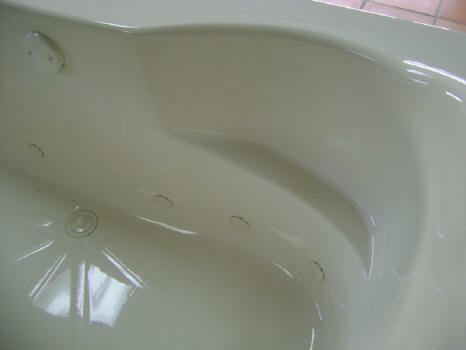 The individual air fittings are designed in a manner that allows them to fully drain when the tub is emptied. Along with the time-delayed dry feature, this insures maximum sanitation of the air system. This unique air massage system can be added to any of the Leisure Whirlpools to make it a dual system combo or can be used as one system air massage system.